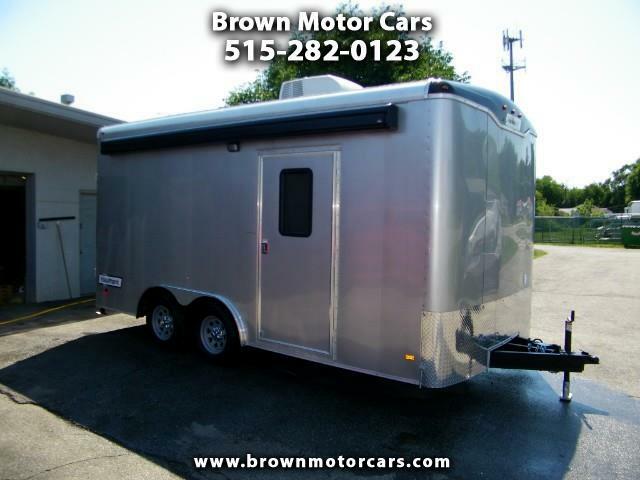 Thanks for looking at our new Haulmark Grizzly 8.5x16 enclosed trailer! This one has tons of extra options on it including 12" extra height(7'6" interior height), insulated floor/walls/ceiling/ramp door, power awning, Air Conditioning, 110v electrical package, 3,500lb torsion axles, RV side door w/window and screen, window, and tons more! This is the ultimate dual purpose trailer! Not only can you use it for work but you can also haul your toys and stay in. Give us a call with any questions or stop out and take a look at it.